Ever since I've been done with my seventh/eighth grade experience, I've been subbing in a few different school districts. I like to take extras of the student's worksheets and look through the "extra" bins for ideas too. Today, the Kindergarten teacher I subbed for had a cute little art-y project that I did with the students, and I snagged some of the materials so I can do it in the future! 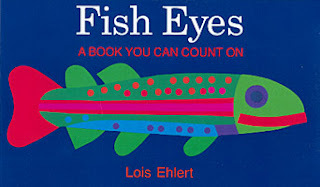 The project was based the book Fish Eyes by Lois Ehlert. It is a very cute and simple counting book. It has a ton of very colorful illustrations and was a good fit for the Kindergarteners. Even though they insisted that they had already read it, they still enjoyed a reread. After I read the book, I introduced the activity. 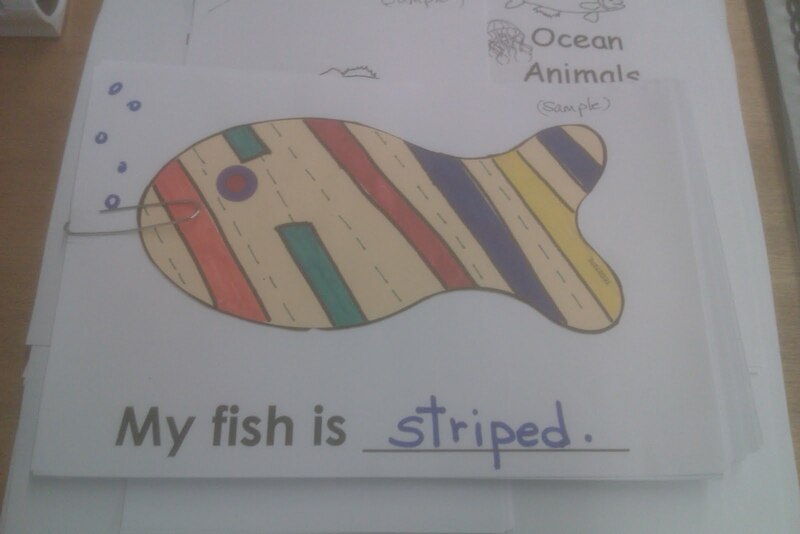 The students received a tan fish template which they needed to decorate, glue onto a white paper, and finish the pre-written sentence: My fish is __________. 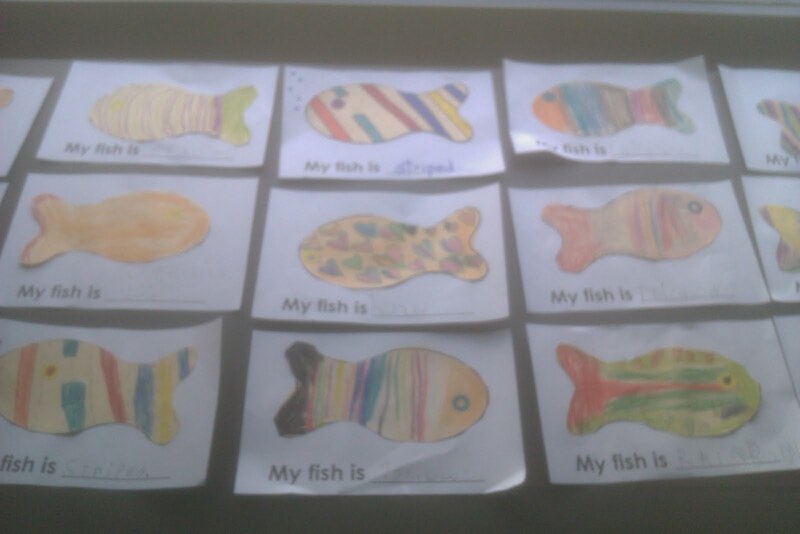 We brainstormed different kinds of fish that they could make - fancy, colorful, striped, polka-dotted... they came up with some good ideas! Then they got to working. This was the teacher's sample picture. And this is a bad picture of some of the students' work. 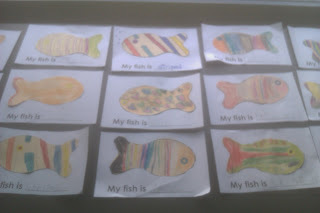 They did a great job of covering the whole fish with color, and none of their fish looked alike! ﻿The students really enjoyed this activity, and I will definitely be hanging on to the templates if I do an ocean unit in the future!